Product prices and availability are accurate as of 2019-04-13 02:33:20 EDT and are subject to change. Any price and availability information displayed on http://www.amazon.com/ at the time of purchase will apply to the purchase of this product. Get the simple way to organize, edit, create, burn and share photos and videos. Organize photos, videos and music. Edit photos and turn HD video clips into movies in minutes. Create stunning photo books and slideshows. Share on Facebook, Flickr or YouTube. 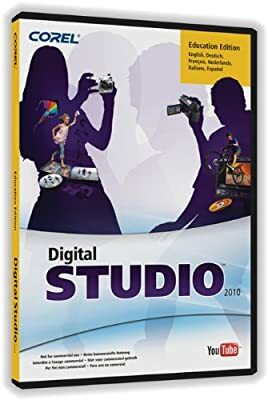 Corel Digital Studio 2010 is the easiest photo, video and DVD burning software you’ll ever use.